Spanish mathematician of the fifteenth century; born at Oriola, Aragon. According to Steinschneider, he may have been one of the Spanish exiles of 1492; he probably went to Constantinople. 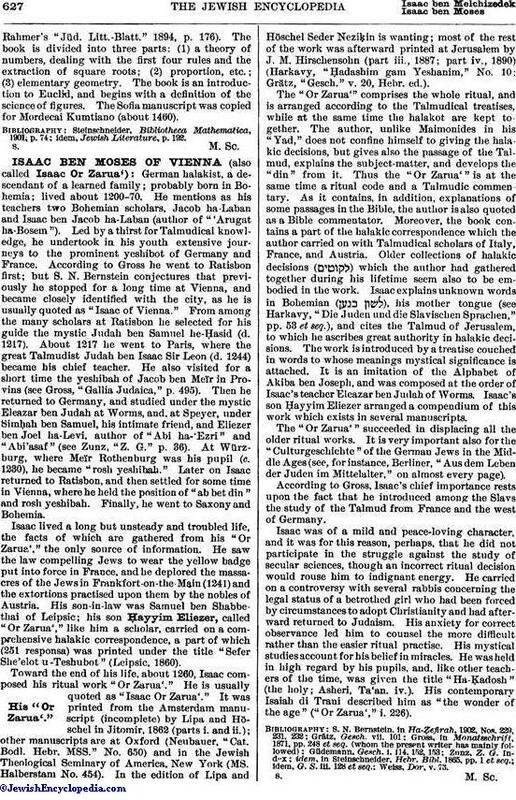 His brother was possibly the Judah ben Moses Eli of Lisbon mentioned in the Paris manuscript No. 292. He wrote a mathematical work entitled (according to Steinschneider) "Meleket ha-Mispar," probably the first two words of the book (Neubauer, "Cat. Bodl. Hebr. MSS." Nos. 1297, 2, 2065, 11; Paris MSS. Nos. 1029, 4, 1095; Leyden MS. No. 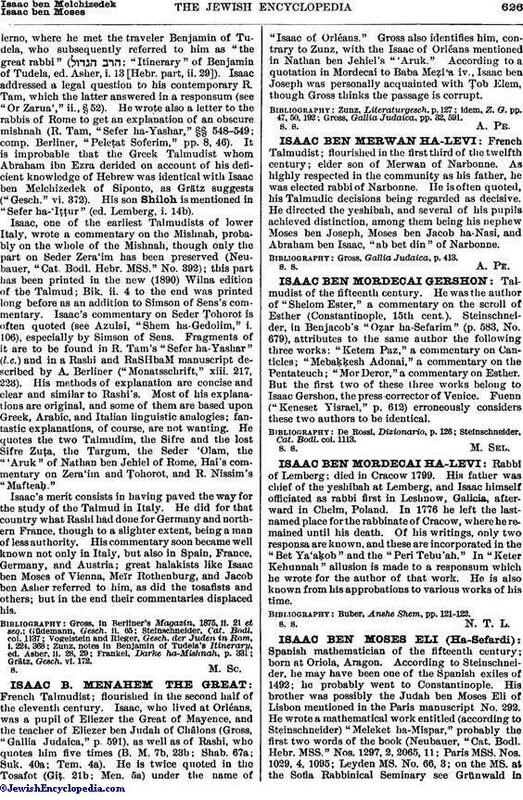 66, 3; on the MS. at the Sofia Rabbinical Seminary see Grünwald inRahmer's "Jüd. Litt.-Blatt." 1894, p. 176). The book is divided into three parts: (1) a theory of numbers, dealing with the first four rules and the extraction of square roots; (2) proportion, etc. ; (3) elementary geometry. The book is an introduction to Euclid, and begins with a definition of the science of figures. The Sofia manuscript was copied for Mordecai Kumtiano (about 1460). idem, Jewish Literature, p. 192.